The trippy brains behind Black Moth Super Rainbow want to release a new record, but they’ve soured on the whole label distribution model. Thus, like any band in 2012, it's started a Kickstarter campaign calling directly on fans to get its new record, Cobra Juicy, out into the world. And to do that, it's also called on friend, fan of the band, and Tim And Eric Awesome Show, Great Job! 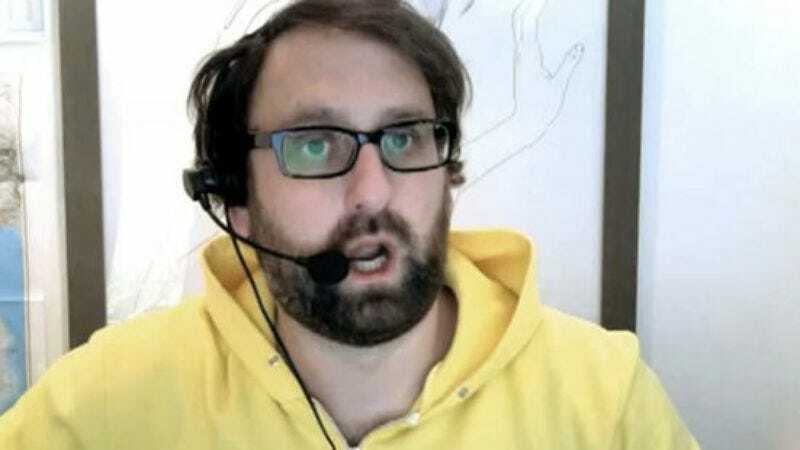 star Eric Wareheim to make the pitch. The resulting video is, of course, just as mind-bending and psychedelic as the band’s music, interjected with copious still shots of Wareheim clad in a yellow hoodie and using a headset phone.